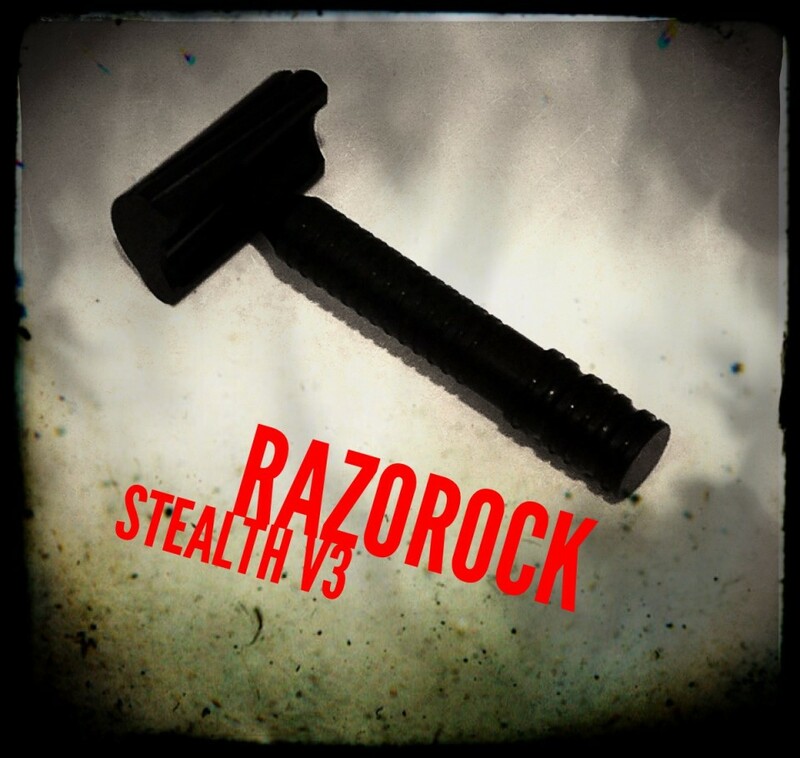 I have been shaving with the RazoRock Stealth now for a bit over a month, and fairly regularly at that ! 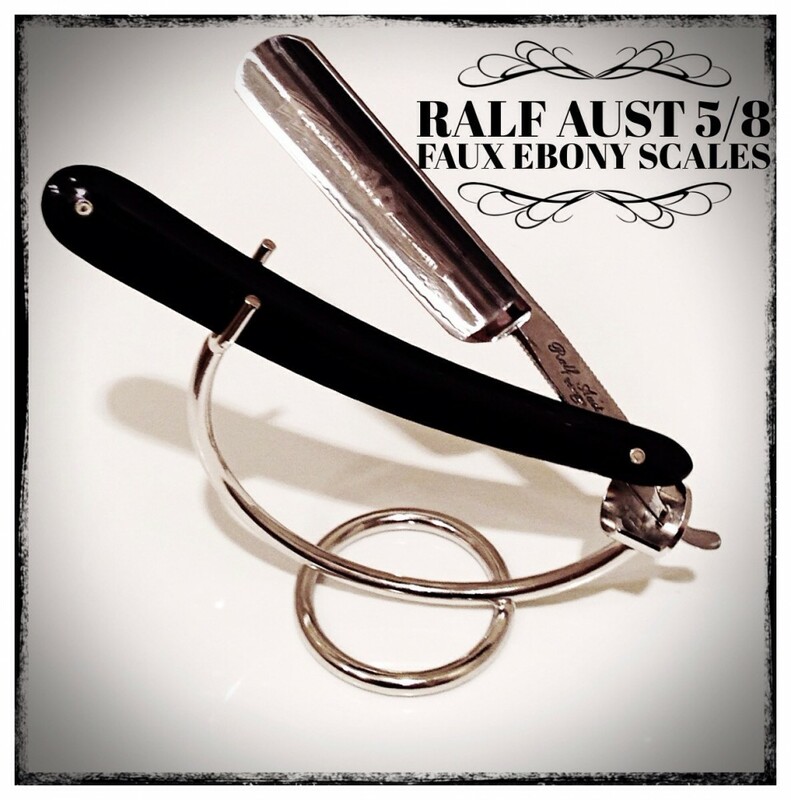 It became quickly my go-to razor at the end of 2014. The video will go into much further depth than I am here, but quickly. Material- The Stealth is still in prototype phases and is on it’s 3rd generation of build. 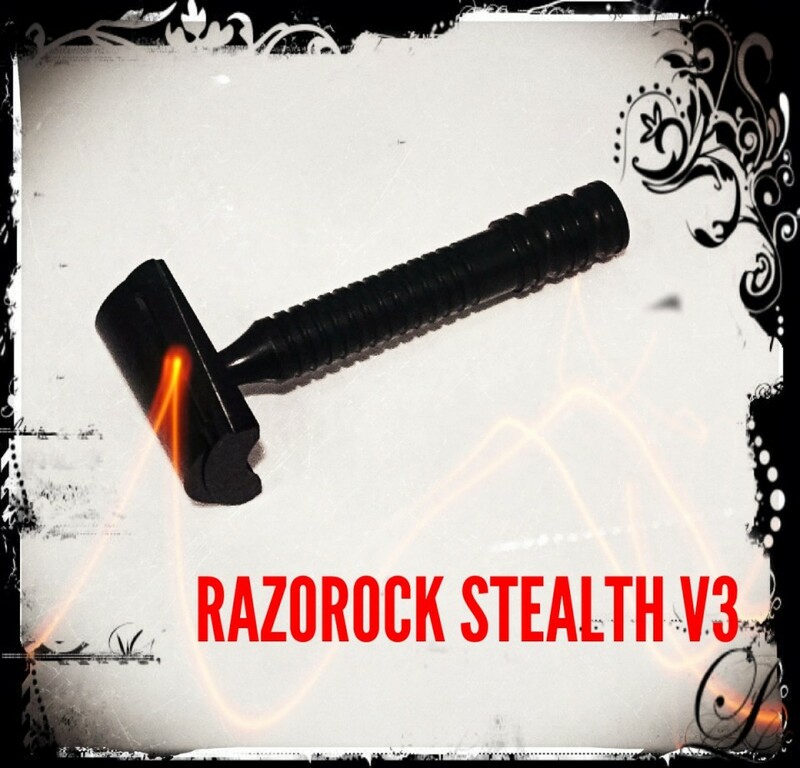 The razor itself is made of aluminum but is anodized for blade and rust protection. The head is CNC billet machine made for tight tolerance, while the handle is lathe turned. Hand feel or ergonomics- For an average size guy such as myself but has larger hands this feels perfect ! Even if your hand were a bit larger or, smaller it would still fit your hand very nicely ! The weight is on the light side at 40 grams, but the razor just seems to glide and assist you not to apply any pressure despite the low weight. Again I find the V3.0 to excel at this compared to the other versions; though that may be in my head. Ease of use- This is a standard 3 piece design slant that was inspired by, but not a replica of a older German Bakelite slant razor. This razor has a slight learning curve due to the head being a bit bulbous. I could not test it under the nose due to my super-awesome handlebar moustache 🙂 , but I would guess to a slightly increased angle that it would shave just fine. Aggressiveness- I find this slant to be a contradiction. A slant by nature uses a slicing action. This one does as well ! 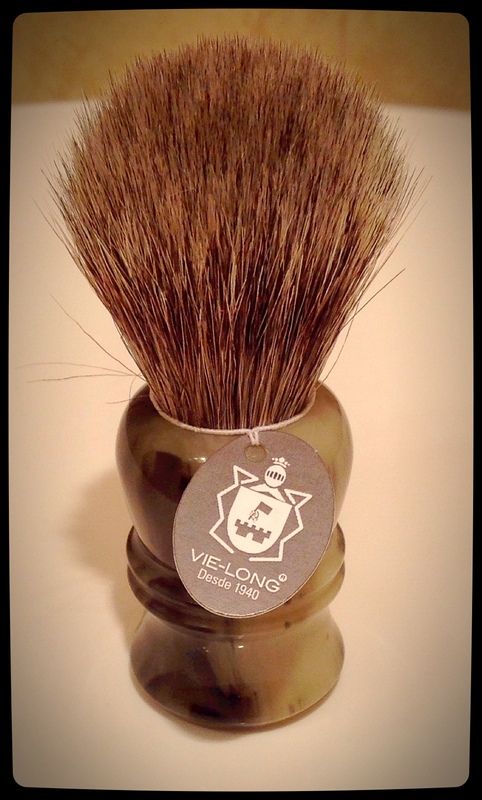 But it is mild enough to be used as a daily shaver, and still get a BBS shave. 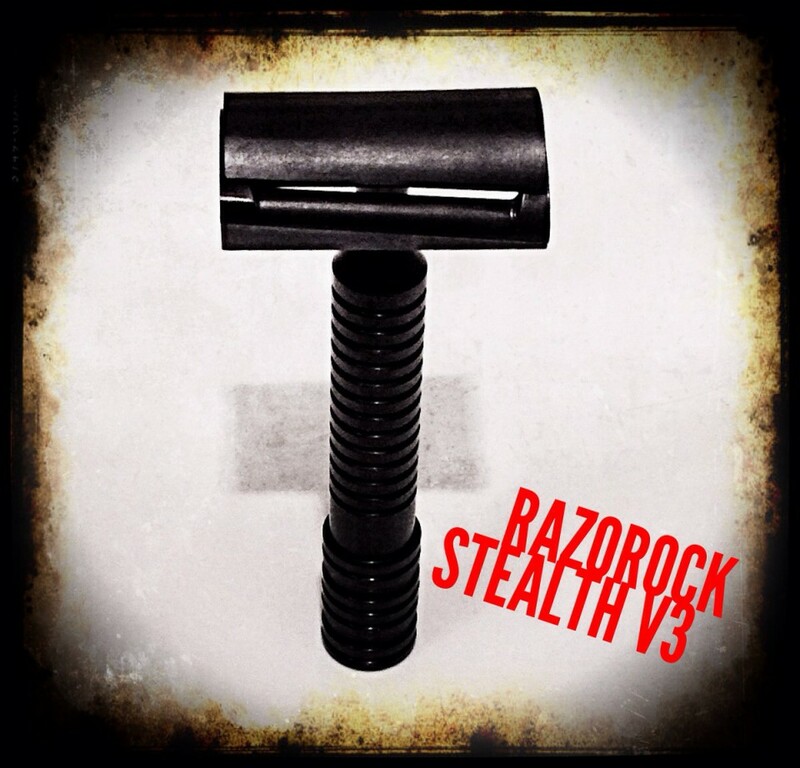 I would not recommend a slant aside from this ever for a daily shaver as it would cause irritation and possibly be way too harsh for most peoples needs. I am amazed, I made 3 New Years resolutions. 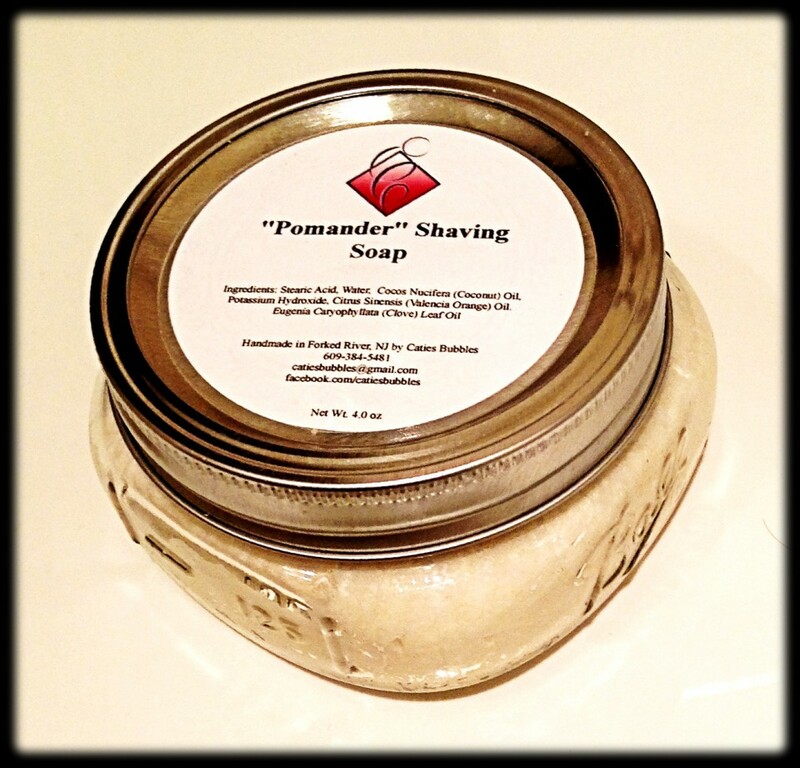 The first was a very strong “No more shave soaps until I use 50% of my den”, the Second was I must use a straight razor 3 times for every DE/SE shave or, a 3-1 ratio, and finally I did NOT have to shave everyday. 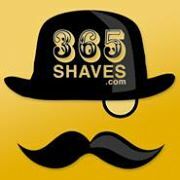 Last year my resolution was to shave 365 days ! I did it; I was writing more for 365shaves.com as well so it made sense. I am still an author there, and recommend them as a great resource, as well as they are just great guys. Well, I can live with the no new soaps, no problems with using a straight razor….., but I’m emotional messed up ! after 365 shaves in a row; I can’t stop shaving daily. That in a way is great, but now I feel “naked” if I don’t shave like I forgot an important part of my day. So here I am still shaving daily, though if I miss a day I doubt I’ll beat myself up too bad.